On November 27, 2018, Randy Siles will showcase his culinary brilliance next to his mentor, Richard Neat. The Four-Hands Culinary Dinner will feature a four-course degustation menu at the Hotel Tropico Latino's Shambala Restaurant. British-born Richard Neat, who co-founded the Pied à Terre in London with David Moore in 1991, is hailed as one of the greatest chefs of his generation. After earning two Michelin stars for the legendary London restaurant in 1996, Neat decided to leave and travel the world to hone his skills working in kitchens in India, Cannes, Moscow, and Morocco. After opening restaurants around the world, in 2006, he settled in Costa Rica where he runs the exclusive 16-cover restaurant, Park Café in San José. 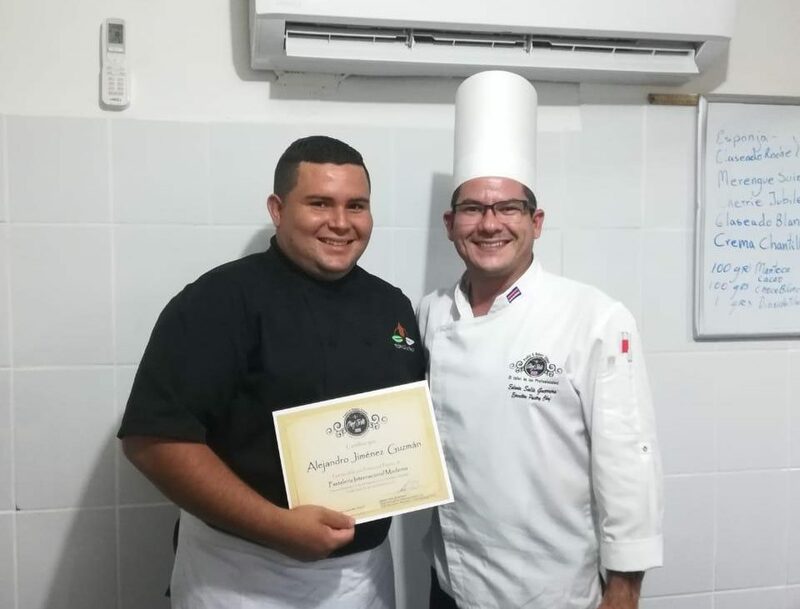 Randy Siles, Chef Ambassador of Costa Rica’s National Plan for Sustainable and Healthy Gastronomy, who was recently inducted in the prestigious l’International Club Les Toques Blanches in France, becoming the first chef in the Americas to join this elite club. This year, Randy was also named Ambassador Chef for Costa Rica of the prestigious Cook & Chef Institute. Randy is also the Executive Chef at the Hotel Tropico Latino and the Co-Founder of the “Academia Artesanos de la Gastronomía”, a non-profit organization born in Santa Teresa, Costa Rica with the mission of identifying, training, development and facilitating the placement of talented youth at risk from disadvantaged communities in the gastronomic labor workforce. The genius of music and culture, Manuel Obregón and Randy Siles, Chef Ambassador of Costa Rica’s National Plan for Sustainable and Healthy Gastronomy, debut in Piano Malango – a one-of-a-kind event in celebration of Costa Rica’s music and cuisine. The event will take place on November 17, 2018 at 7:00 PM in the DITSÚ restaurant. Price: $ 95 pp i.v.i. On August 9th, Randy Siles showcased his culinary brilliance next to his mentor, Richard Neat. The Four-Hands Culinary Dinner will feature a four-course degustation menu at Neat’s exclusive venue, Park Café. If you miss this one-of-a-kind gastronomic experience, there will be a second opportunity on November 27th at the Hotel Tropico Latino in Santa Teresa. Salud! Nine years ago, visionary chef Randy Siles lit the kitchen of Hotel Tropico Latino’s Shambala Restaurant in Santa Teresa de Cóbano. He knew that behind this new challenge there was a calling. Soon his mission was revealed: to encourage young people with limited economic resources and opportunities with the objective of positively transforming the future of that generation. And that is how his passion, commitment and determination became a catalyst for the birth of the Academia Artesanos de la Gastronomía. For the execution of the new concept, Siles transformed the kitchen of the Shambala Restaurant into an absolute laboratory, an academy and, for many, a university where today he works with pure native youth. 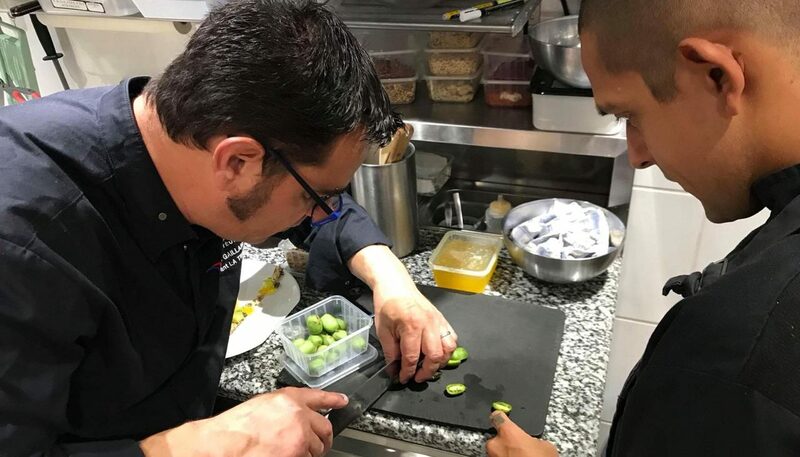 The culinary arts curriculum is created and taught by Siles, Chef Ambassador of Costa Rica’s National Plan for Sustainable and Healthy Gastronomy. Young students immerse themselves in the philosophy of Siles centered on zero kilometer cuisine – a sustainable and healthy gastronomy based on the roots of tradition; the use of autochthonous and seasonal ingredients; supporting local farmers and producers, and reducing the carbon footprint. The Academia Artesanos de la Gastronomía’s culinary arts program includes the training of cooks, waiters and catering service, and bartenders. Today, more than 90 students have received practical professional culinary training at the Shambala restaurant. 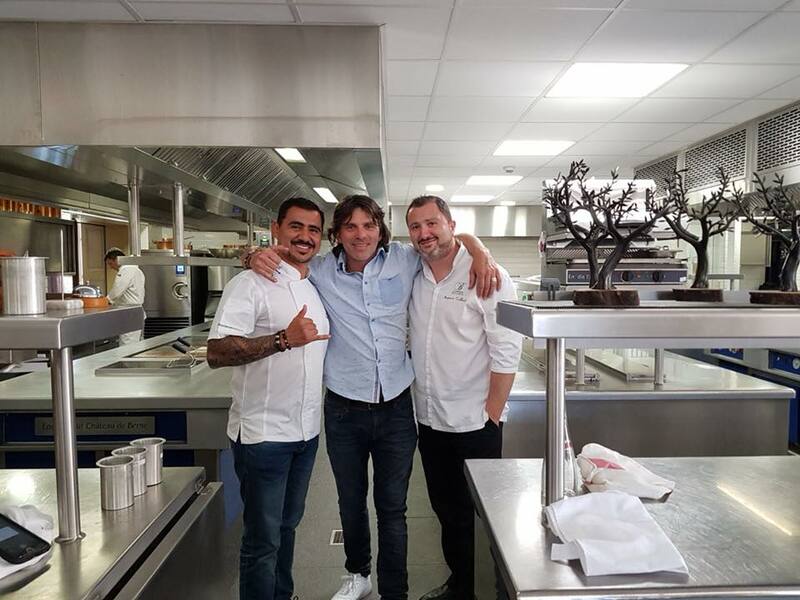 During his trip to France in April 2018 where he received the prestigious Les Toques Blanches recognition, Siles, with the support from Laurent Boschero, editor of French travel guide, Le Petit Futé, forged new partnerships with the crème de la crème of the hospitality industry to provide Academia Artesanos de la Gastronomía’s students culinary training. The portfolio of strategic partners include the Michelin-starred restaurant Le Jardin De Benjamin of the 5-star hotel, Château de Berne; Hôtel Le Club de Cavalière & Spa; Hôtel Le Grand Cœur & Spa; Sebastian Gaillard’s Le Restaurant la Truffe, and Christian Boeuf’s La Bastide des Magnans. 2018 has been a year of phenomenal achievements for the Academia Artesanos de la Gastronomía. We are proud to share our latest success stories. Alejandro Jiménez began his culinary training in 2011 under the supervision of Randy Siles at the Shambala Restaurant. Through seven years of apprenticeship, Alejandro reached the position of sous chef. This year, Alejandro had the opportunity to collaborate in an exclusive "Four Hands" Degustation Dinner by Chefs Richard Neat and Randy Siles at Neat’s exclusive restaurant, Park Café. 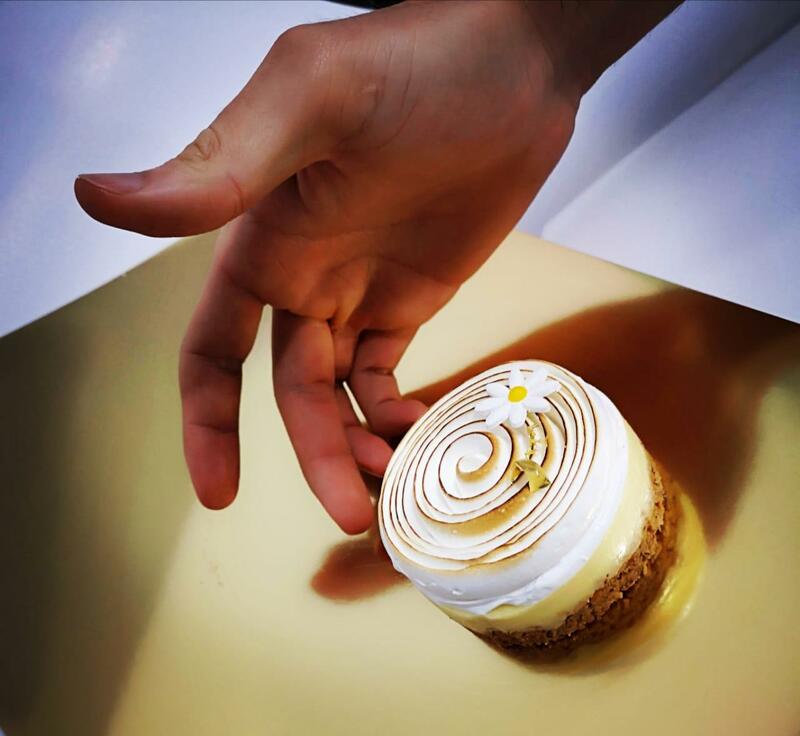 Recently, Alejandro completed a two-week intensive training that earned him certifications in International Bakery and International Modern Pastry conducted by none other than Edwin Solis, Executive Pastry Chef at the Ritz Carlton. "Alejandro is a vital piece for the strengthening and entrepreneurship of many youth at social risk," says Siles. Josue Calvo, Chef De Partie at Hotel Trópico Latino, is a rising star in the making. Under the supervision of Randy Siles for two years, Josue traveled to France for a four-week culinary course under the supervision of renowned chef Benjamin Collombat of Le Jardin De Benjamin restaurant in the 5-star hotel Château de Berne; chef Christian Boeuf, owner of La Bastide des Magnans, and chef Sebastian Gaillard of Le Restaurant la Truffe. In addition, Laurent Boschero, editor of the French travel guide Le Petit Futé, organized a vineyard experience to learn the processes and secrets of the famous Côtes de Provence. 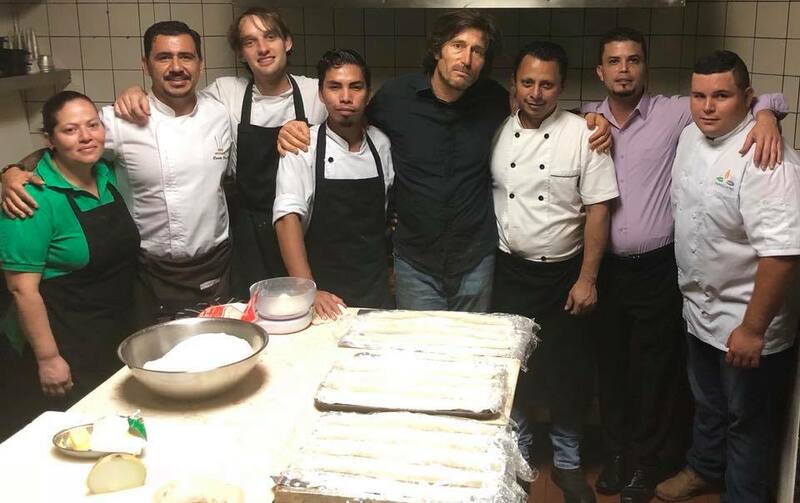 Get the latest news on Costa Rican Chef Randy Siles from Hotel Tropico Latino, including his joining the most prestigious gastronomy club in France. Costa Rican Chef Randy Siles of Hotel Tropico Latino in Santa Teresa. From being featured in the January 2018 edition of Forbes Magazine Central America, to cooking alongside Michelin Star chefs at an elite event in France and being invited to join the most prestigious French gastronomy club, Chef Randy Siles is skyrocketing this year as the most celebrated chef in Central America. Siles is master chef of the Shambala Restaurant at Hotel Tropico Latino in Santa Teresa, Costa Rica, and Costa Rica’s first Chef Ambassador for the National Plan of Sustainable Healthy Gastronomy the past four years. He is also the founder and president of the Artesanos de la Gastronomía, or Artisans of Gastronomy Academy, that rescues young people at social risk in the tourist area of Santa Teresa and trains them in different branches of culinary arts. Be a better you in 2018. Go on a healthy Costa Rica vacation!